The InsideOut Art Prize 2018 and the Refracted Lives Exhibition are presented by InsideOut Delhi in association with the Naz Foundation (India) Trust. InsideOut Delhi is a volunteer LGBTQ+ organisation of Indian and ex-pat professionals and diplomats based in New Delhi, supporting health, human rights and the arts through cultural exchange. The volunteers on the organising committee come from diverse professional backgrounds including the arts. The Naz Foundation (India) Trust is a registered charity that works to create a just and equitable society by transforming individuals from socially and economically excluded communities into agents of change. It has led in the fights against HIV/AIDS and for LGBTQ rights in India since 1994. InsideOut Delhi is a volunteer organisation that draws on the time, love and expertise of its members to put on events like `refracted lives’. Anirudha Nagar is a human rights lawyer and activist with experience in both international and domestic settings. He is currently Asia Director for Accountability Counsel, where he assists communities in the region to defend their environmental and human rights. Previously, he worked for the Commonwealth Human Rights Initiative, the Office of the Prosecution at the International Criminal Court, and the Tenants Union of Victoria in Australia. Joseph M. Pomper has been a consular officer for most of his 34 years in the Foreign Service. Prior to his arrival in New Delhi, he completed assignments in Mexico, India, Belgium, Jamaica, United Kingdom, Israel, and Hong Kong, as well as a number of assignments in Washington, DC. Joe is thrilled to be back in India and is proud to be on the planning committee for InsideOut. Björn Grözinger is on the organizing committee of InsideOut Delhi. Born in a small town in the Black Forest, Germany, he set out to explore the world at the age of 16 and never stopped ever since. After stints in the US, Brazil, France, and Belgium, he moved to Delhi in 2016. No matter where he is on the globe, he holds LGBTQ issues close to his heart and tries to advance the cause of the rainbow community. Shivraj Parshad has over two decades of experience in journalism, broadcasting, communications and training. He began his career in 1995 with India’s première media house New Delhi Television (NDTV) and was part of the company’s transformation to a competitive global broadcaster. He has trained senior leaders from various organizations and keeps busy advising these organisations on learning and development, strategic messaging, brand, public policy, government affairs, crisis and public speaking. Carl Sullivan is a senior editor for Microsoft, overseeing editorial teams for MSN.com and Bing.com from Delhi for the past two years. A lifelong journalist, he has won awards for coverage of American politics, world and domestic news, and cultural trends. Sullivan is a long-time member of the National Lesbian & Gay Journalists Association in the U.S.
Stevie Clayton is Coordinator of the InsideOut Art Prize 2018. Originally from Australia where she has a long back ground in management, public health, and human rights activism. 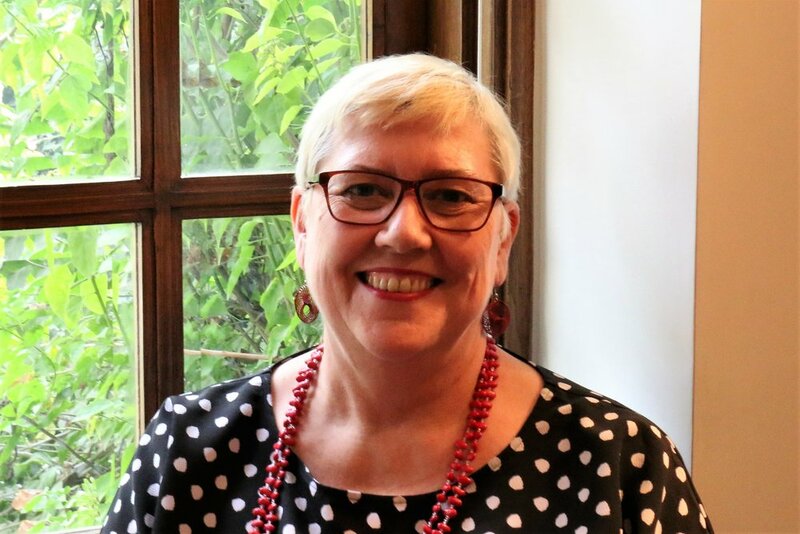 She was CEO of ACON Health - a HIV and LGBTQ health NGO, and a board member of many LGBTQ organisations including co-chair of Sydney Gay & Lesbian Mardi Gras - one of the largest LGBTQ arts and cultural festivals in the world. Stevie now works as a management consultant with a focus on strategy and executive coaching. After living in the Middle East for six years, she came to Delhi and fell in love with India. John Connolly has lived in Delhi for the last 10 years with his husband, Atanu. He is currently the Head Creative at Ravish Kapoor Innovative Invitations and Coordinator of InsideOut Delhi. He has previous incarnations as a chef, owned a restaurant, a catering company, and an event management firm and even worked as a major domo for a Forbes billionaire. He is opinionated on most things with or without the knowledge to be so. However, when it comes to food and travel, he is passionate.